What do you do when you can’t control the impulse to buy cute little pumpkins every time you visit the grocery store? 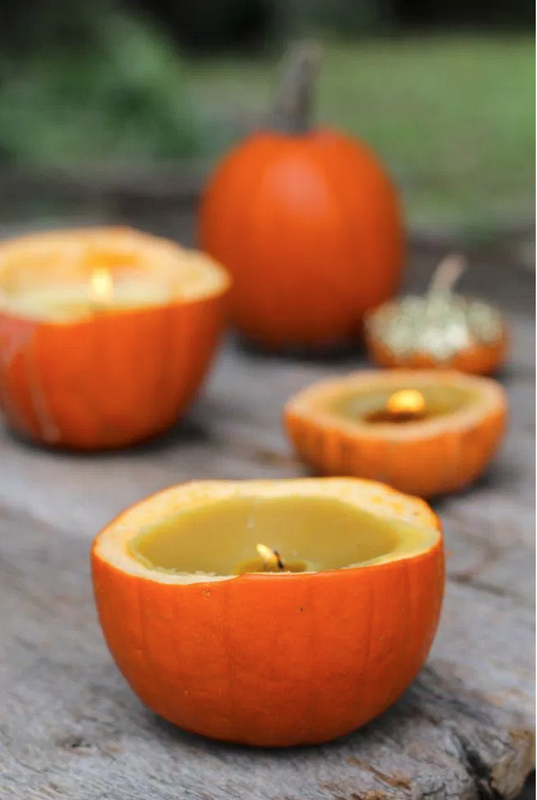 You make Pumpkin Candles! Cut off the tops of the pumpkins and scoop out the seeds. Attach the wicks to the bottom of the pumpkin. 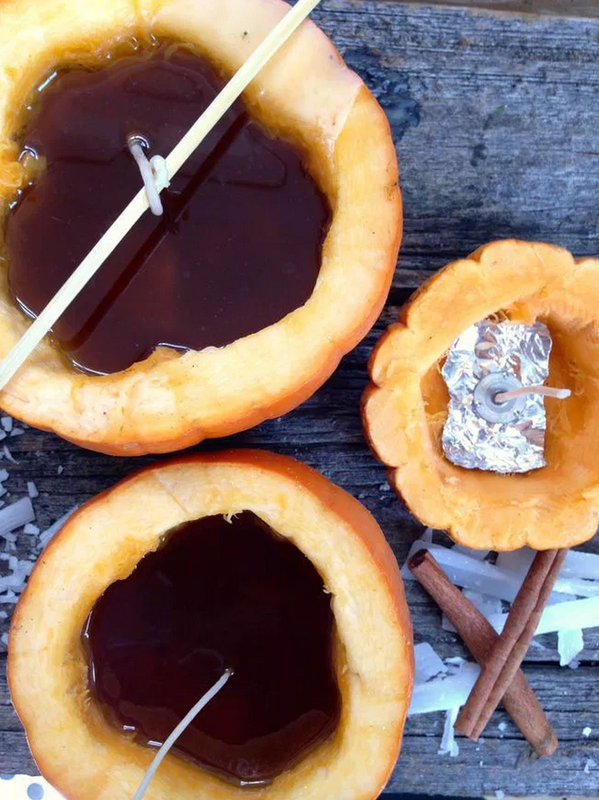 Use a piece of tin foil in glue them to the bottom of the pumpkin. Then roll the top of the wick around a pencil or skewer to it hold upright. 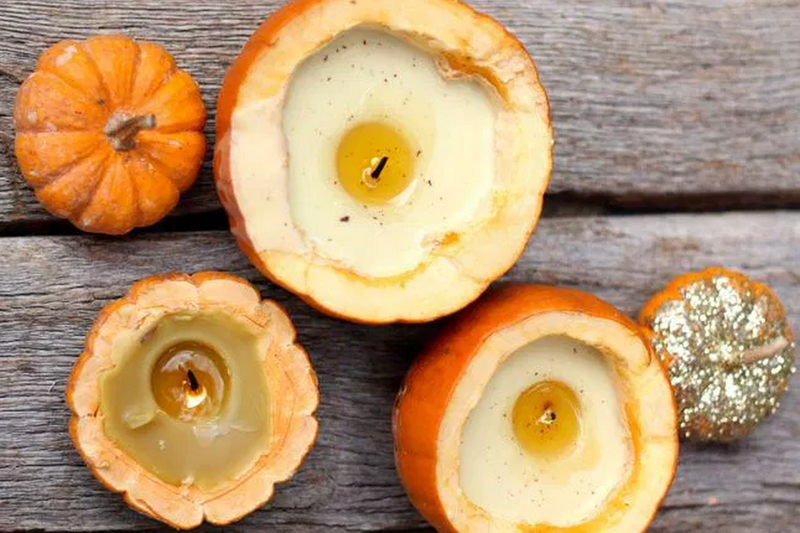 Melt the wax in a double broiler and pour it into the candles. Crush up a couple of cinnamon sticks and add to the wax for a yummy cinnamon smell. For a stronger smell, you can add cinnamon oil too. Then let the candles sit for a couple of hours for the wax to harden. We experimented with adding a bit of candle wax tint to give them a more golden color. The wax looks really dark when liquid but it dries much lighter. 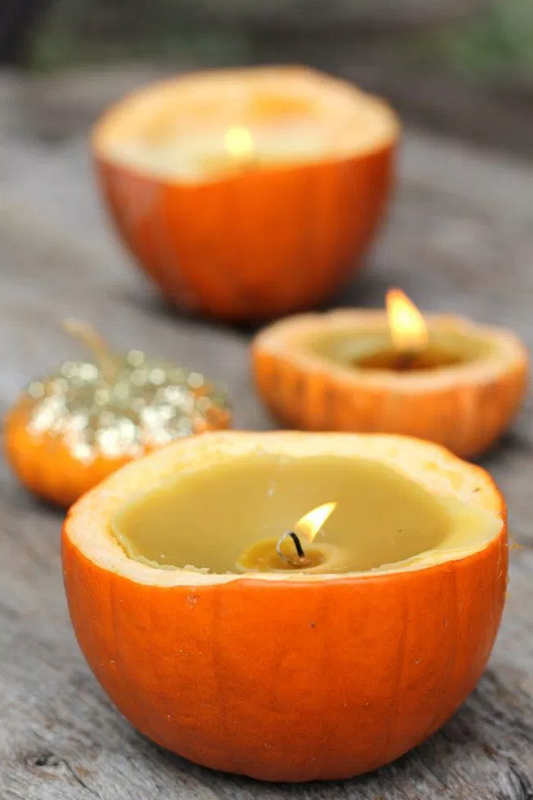 Oh, and you can also make candles with tiny pumpkins! There’s not a lot of seeds in them – so not much room for wax – but they are super cute.